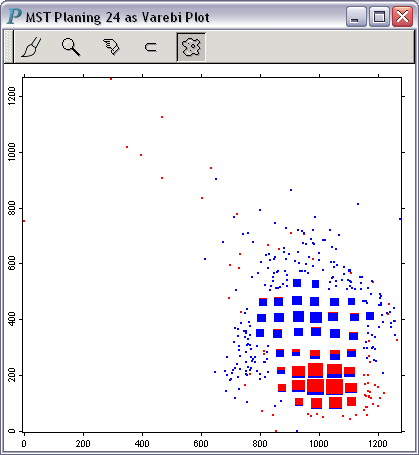 Minimal spanning tree (MST) planing is also known as multivariate planing. MST planing is similar in intent to multidimensional scaling (MDS) onto a 2-dimensional plane, which tries to find N points in a 2-dimensional plane such that the inter-point distances in the plane match the inter-point distances in high-dimensional space. MST planing is much faster to compute than MDS because it requires fewer calculations. Planing 40,000 points is a perfectly reasonable task. Principal component analysis is just "poor man's MDS." The following 2 plots are the result of MST planing of 3011 points from an 8-dimensional space. 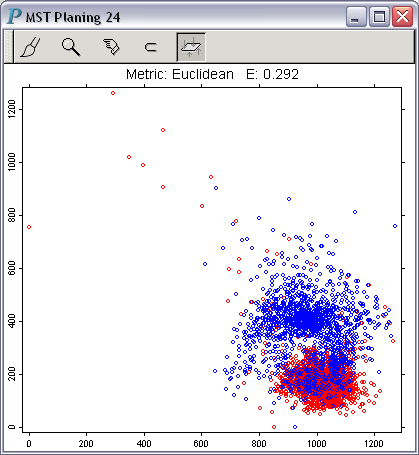 Red points are cells not treated with etoposide; blue points are cells treated with etoposide.